Henry Goster; Get up stand up project coordinator took a field trip this morning, August 22, to Kanyumbaaka village farmers’ tomato fields. 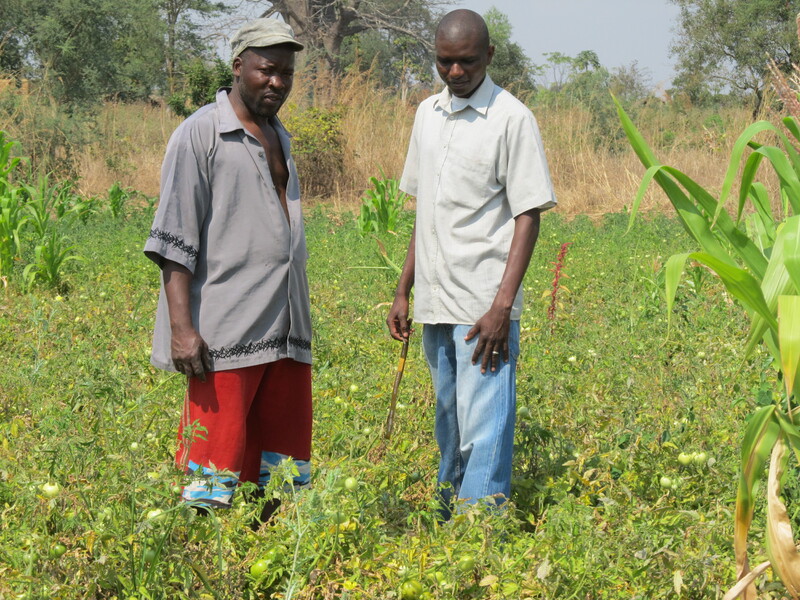 They are benefiting from programs that help them increase production through loans of farms inputs the project offers. 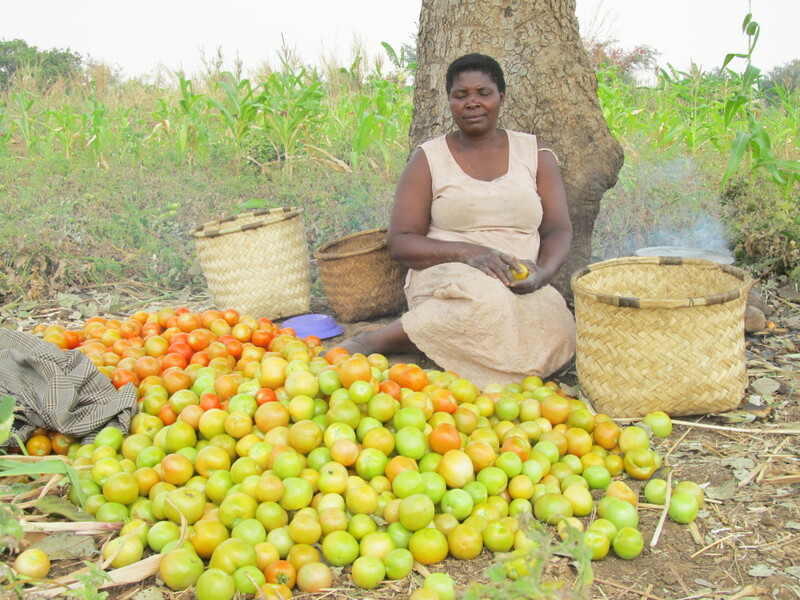 Get up stand up targets helping farming families increase production in a sustainable way, and sell more crops, is the most effective way to reduce hunger and poverty over the long period basis. Goster commended the farmers for the cooperativeness and the far they have reached. He said the project jub theilates in success of its farmers. Farmers have grown more tomatoes that currently earn them more income, they are better able feed to their families, send their children to school, provide for their family’s health, and invest in their farms. Hastings Kandeu- the group chairman testifies his life and of others have changed since they joined the project. “The project has made our communities economically stronger and more stable” he reports. This entry was posted in News from Malawi, Social Development and tagged Get up stand up project, Harry Pongolani, Hastings Kandeu, Henry Goster, Kanyumbaaka village. Bookmark the permalink.